Before the new year we were all in Idaho for some Jacobsen family time. We went to church up there, and while I was in Sunday School we talked about the end of the Book of Mormon and Moroni’s writings. 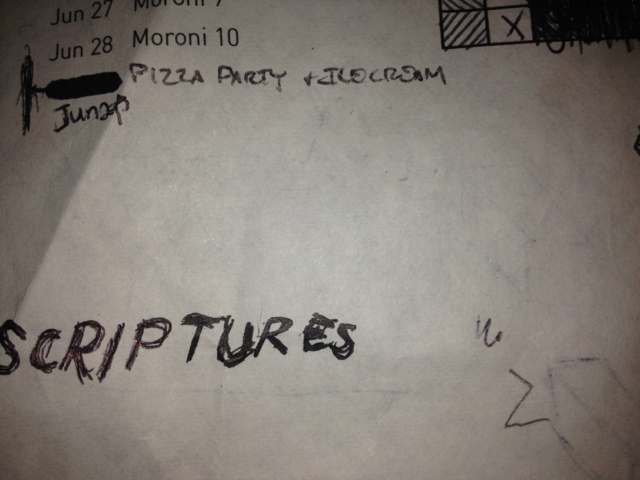 I had the inspiration to try something new for our family scripture study for the first half of 2013. 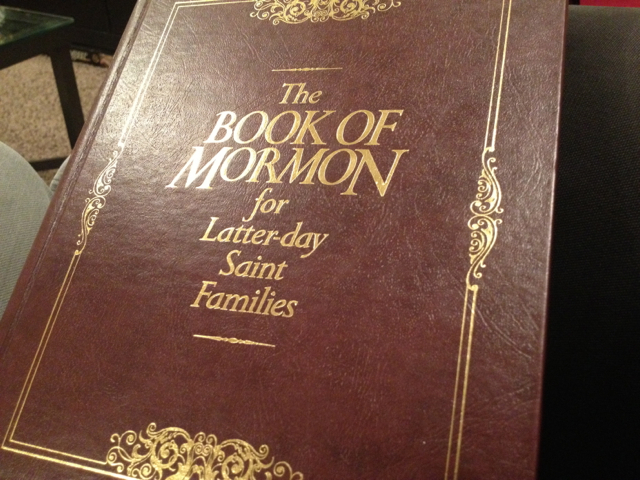 It came out of a desire to help some of the middle kids read the Book of Mormon for the first time. 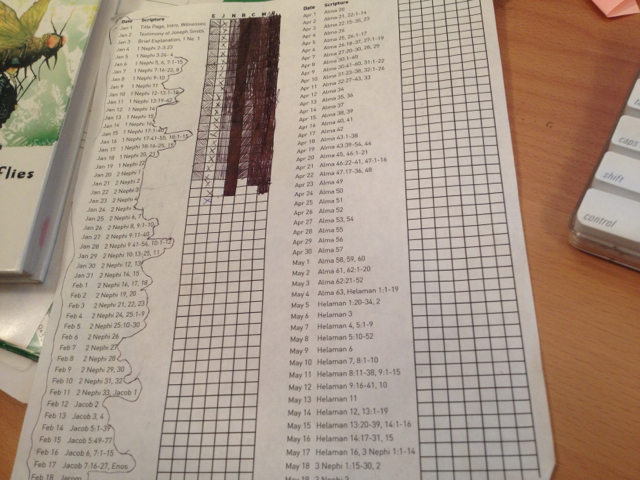 I took an hour and outlined the Book of Mormon into daily segments of reading — 3 pages a day to finish the Book of Mormon in half a year. 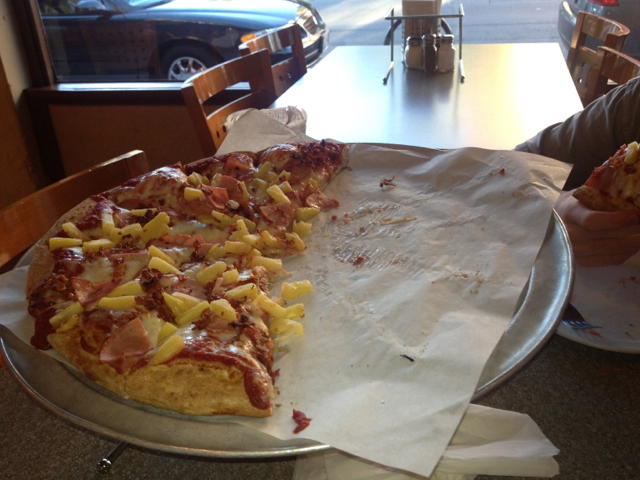 Erik came up with a great spreadsheet for the seven of us to record our reading. We read separately, in our own copies of the Book of Mormon, and then we discuss and share what we learned, questions we have, insights, favorite verses, or whatever we want related to that day’s reading. I think this is my favorite family scripture study we have ever done. I love the blend of personal study and sharing together after the personal reading. Robin is the youngest, so I often read out loud with her in this book. The helpful thing in this book for Robin are the definitions of hard words and the pictures to illustrate the storyline. 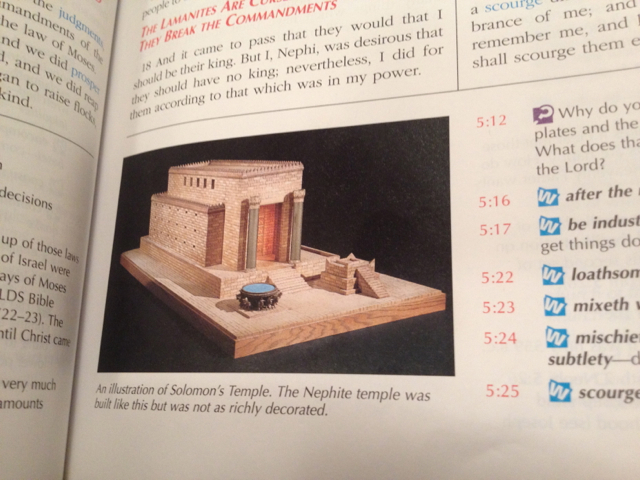 Tonight we learned about how Nephi built a temple like Solomon’s temple. 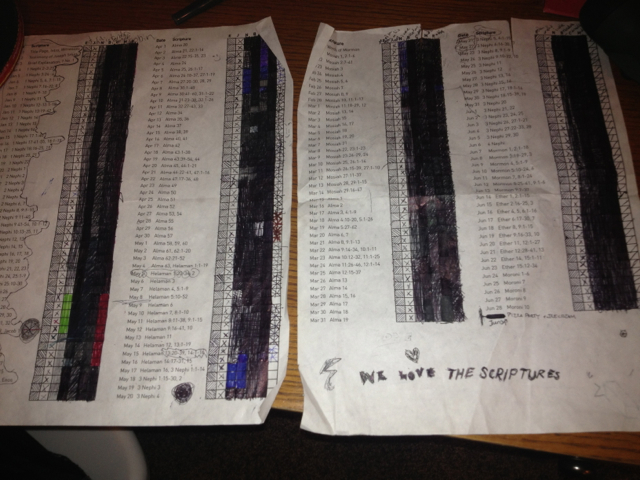 Here is part of the stack of scriptures. 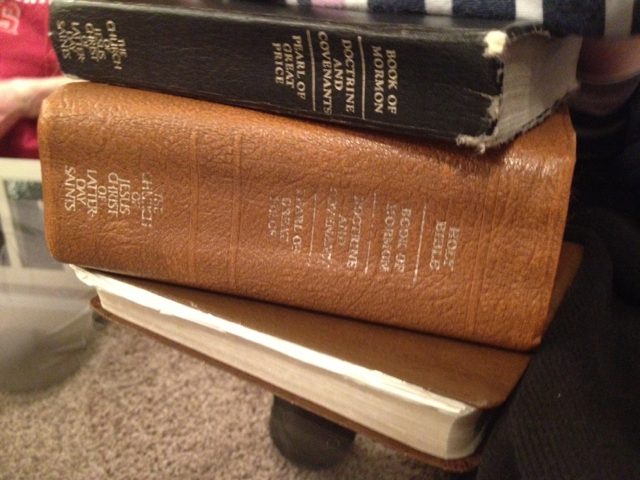 Some of the books are my old scriptures from seminary days or my mission. Some are well marked, others falling apart, all loved and cherished.These are some of the best ten or fifteen minutes of the day, sharing spiritual learning all together.